Interview with Lynette Anderson Designs of RJR Fabrics featuring the new Quilter's Garden fabric collection Lynette Anderson's whimsical imagery is infectious and inspiring. Travel with her to a playful garden in her Quilter's Garden fabric collection for RJR Fabrics. Her prints and illustrations will take you there! 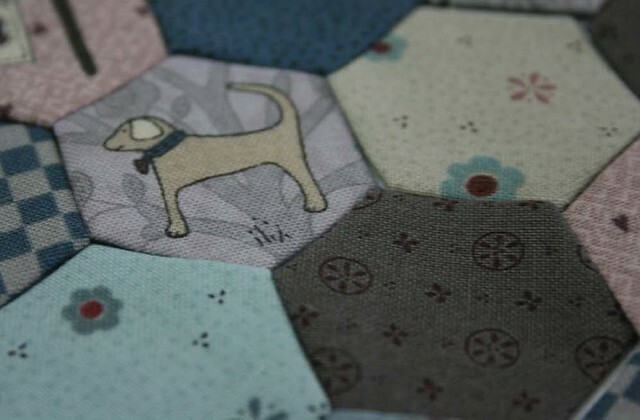 Lynette is here on the Jolly Jabber to share more about Quilter's Garden. Keep reading for a closer look! 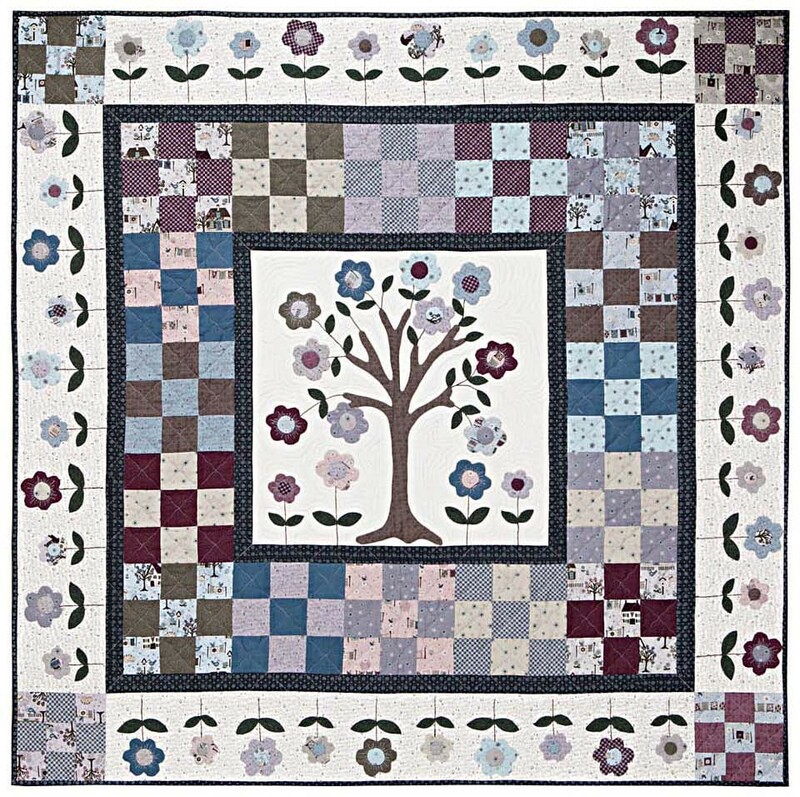 Q: Tell us a little about the Quilter’s Garden collection. What were you inspired by? 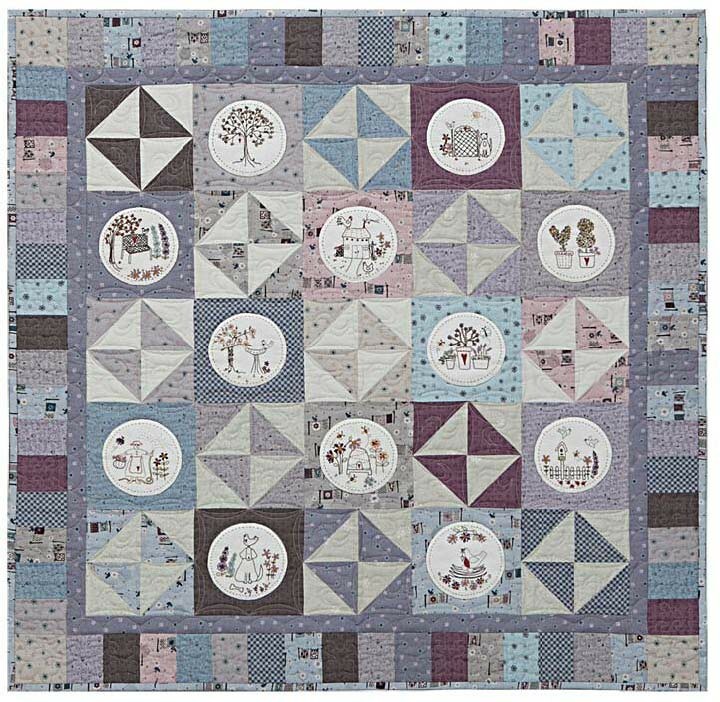 A: Quilter’s Garden consists of 25 prints, you will want to have them all! The inspirations for the houses in Quilter’s Garden came during a visit to The Netherlands to see my friend Petra Prins. The house styles in The Netherlands are like the people, welcoming. The gardens during the Spring and Summer months are bursting with the colours and scents of the cottage garden flowers that fill them. Q: What is your design process when beginning a new collection? A: When working on a new fabric collection, I like to envisage the prints I am going to create for a collection together and ask myself questions. “What am I going to make using this collection?” Then I choose the colours I want to work with. People love my drawings and so there is always a feature print. Sweet little houses, my beloved pets and flowers are always a strong theme for me. I tend to create the feature print first, as it's the most important print in the collection. The feature print of my collection is generally the multi-print and the other little itty- bitty prints are fast to design. I love working with the itty bitty prints best as so many of my designs are pictorial and they fit perfectly. Q: What design trends are you currently exploring? A: I am not sure I follow trends but I am really enjoying working with the soft mauves and sludgy pinks in my collections. I think this trend of mine towards these softer muted colours is influenced by my one year old granddaughter. She is very much a mauve and pink girl! Q: What projects do you hope to see made with Quilter’s Garden? 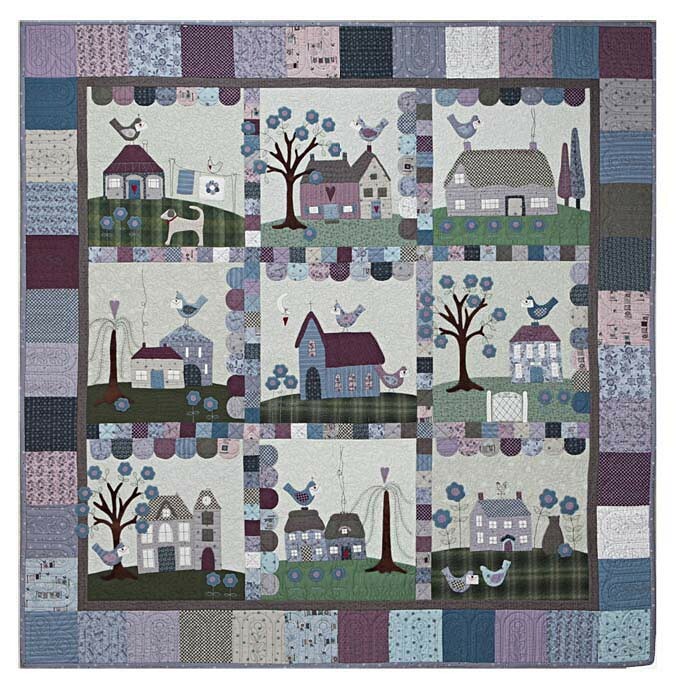 A: I would love to see lots of lovely quilts and bags, plus Quilter’s Garden would be perfect for kids clothing. Q: What projects have you made using Quilter’s Garden? 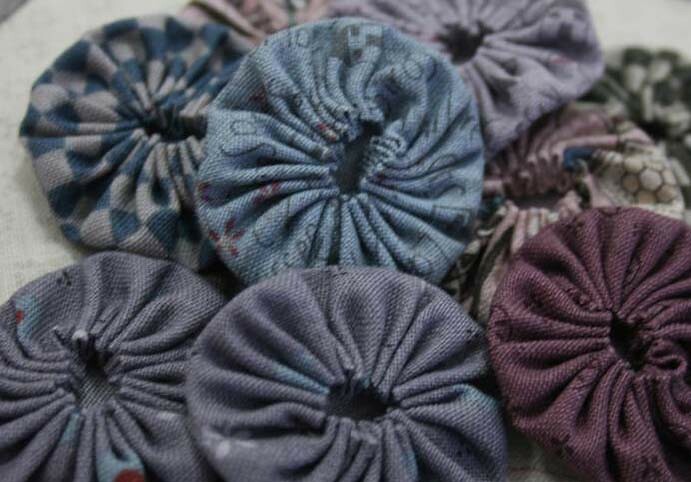 A: I have had so much fun working with these fabrics; I can’t get enough of them. Just when I think I am done making things, another great idea for a project springs to my mind and away I go with my scissors, needle and threads. I love to mix prints from previous collections to make controlled scrappy looking quilts and the prints in Quilter’s Garden are perfect for this. I like having a scrappy look to my quilts as it enables ladies to add a little something from their own stash to create a more individual look to their own quilts. Q: How do you describe your style? A: I love combining stitchery, appliqué, and simple piecing in my projects. My naïve style comes from the fact that I have no formal training; the childish simplicity of my original drawings still shines through. I feel that people can connect to my love of the everyday things that give us all pleasure: the making of a house into a home, our families, the animals that share our homes, the simple things. Thank you Lynette for a lovely interview! 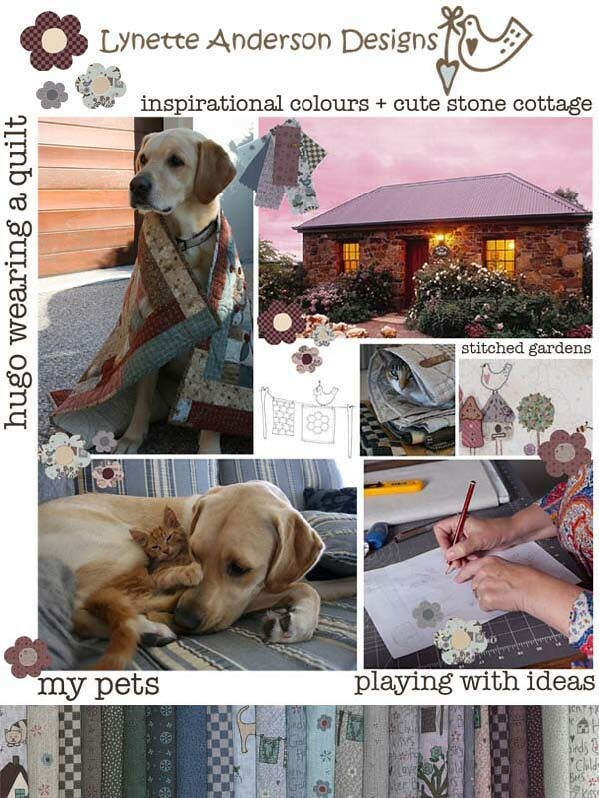 Are you planning a project with Quilter's Garden? Let us know what you are hoping to make!